Yesterday evening there was a fascination discussion in Servus TV, which raised an interesing question. “Is tourism endangering the moutains and their natural beauty?” – this was not the main topic, but it was an interesting aspect. Servus TV is an Austrian privately owned TV Channel, which is connected to Red Bull – they show amazing documentaries and their “Talk im Hangar 7” talkshow is one of the best in german speaking TV. Yesterday the main guest was Gerlinde Kaltenbrunner – she was the second woman to do all 14 8000+ Mountains, and the first do so without additional oxygen. After some talk about her expedition, there was a question raised – do all the tourists in the Himalaya destroy it´s natural beauty. A feature showed a pre-taped recording of Reinhold Messner, who said, that people who go to the Mount Everest on the main routes are not “Alpinists, but Tourists“, as they are walking on a prepared piste. Although he said, he does not want to condemn that, it was quite obvious, that he did not like this developments. Kurt Luger, head of Ecohimal, made a very interesting statement in the following discussion: Reinhold Messner is a tourist himself, when he is doing an expedition in Pakistan or Nepal. I am not sure, if Messner agrees, but Mr. Luger has a point – how individual ever we travel, we are always travelers. We influence people, society and business just because we visit. If you are looking at the history of Tourism in the Alpes, it all began with British upper class people, who discovered the mountains as a place which was not really explored, and where adventures were possible. The local community in the Mountain valleys struggled to survive with small farms and never thought about climbing Mountains for fun. This all changed with these English pioneers – they wanted someone to help them, with their backpacks and luggage, they needed food and some places to sleep. From this point it all developed – Mountain Guiding got a profession and the natives Mountain Guides started to discover their mountains themselves. Hotels and Restaurants were developed – today most mountain valleys in Austria (and Switzerland) would be almost deserted without Tourism and its income opportunities. At the moment something similar develops in the Himalayas. I believe we cannot prohibit that development, because some extreme Alpinists, want to be alone on “their mountains”. After all most of this extreme climbers do this as a profession – and with writing books and making films about this areas, they create a demand for it. What is important for this regions, and what should be closely examined, is the way how to develop tourism. Mountain Tourism in the Alpes made a lot of good and a lot of bad decisions – this are valuable lessons to be learned from. P.S. 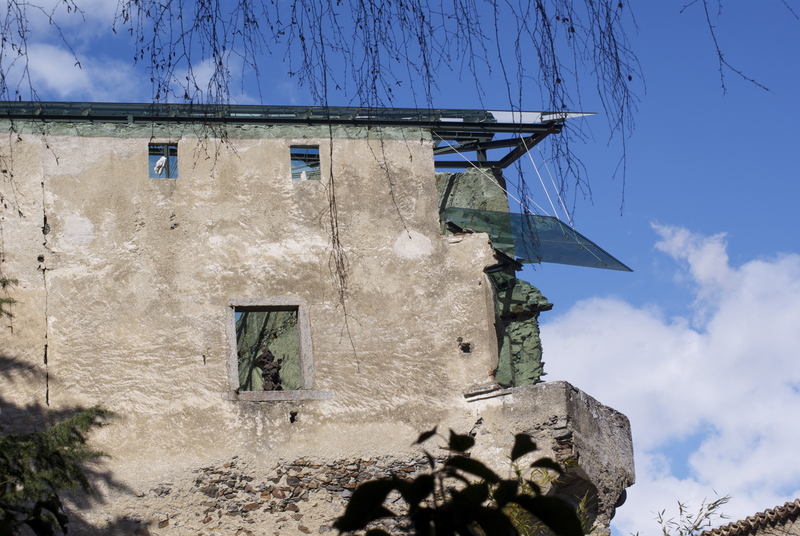 : Reinhold Messner himself bought a castle in his home region of Southern Tyrol (Italy) – today it can be visited by tourists … great place to visit – Schloss Juval. It shows artifacts from Tibet, Messners expedition material and is also very interesting for Architecture fans, as it has got a glass ceiling over some parts, to use it for events. Reinhold Messner lives there, part time, and it is part of the “Messner Mountain Museum” featuring the “Myth of the Mountains” exhibition. Additionally there is the Messner Mountain Museum in Castle Sigmundskron – I have missed this so far, but it is on top of my list for my next visit to Southern Tyrol! 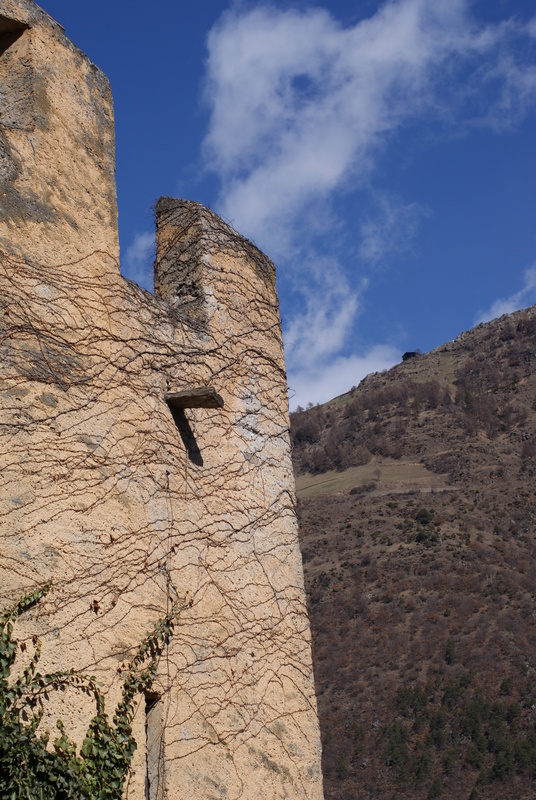 Some impressions from Schloss Juval.